During our grand opening in August, we took the time to interview many of our partners and supporters. 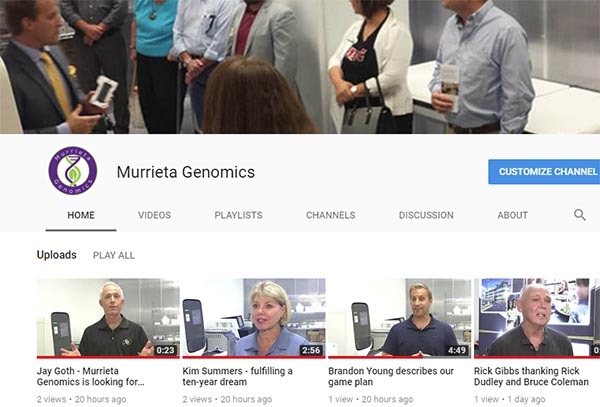 The interviews have been edited into short snips that can provide more insight into Murrieta Genomics and how we are driving innovation in Murrieta. Please visit and subscribe to our channel, as we will be releasing more videos as we progress. Click here to visit!